If there’s one thing Kelli Cruciotti has learned, it’s to never assume a win is a given. 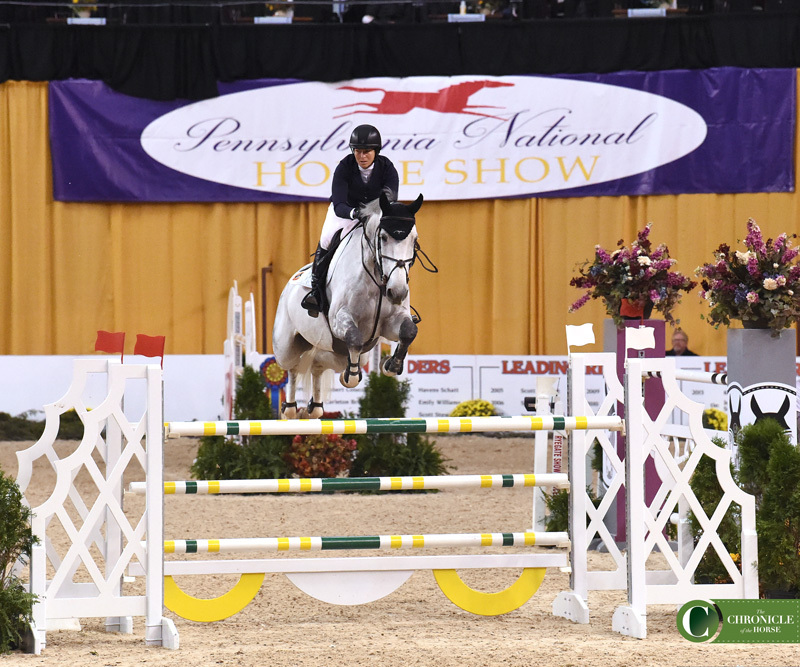 And as she exited the Pennsylvania National ring after a clear jump-off in the $50,000 Big Jump, she kept remembering that fact. Sure, she had bested current FEI World Cup champion Beezie Madden by a tenth of a second. And sure, she’d known her horse Hadja Van Orshof for coming on three years. But she was still only the fourth rider in the seven woman jump-off with plenty of turning and burning left to catch her time. 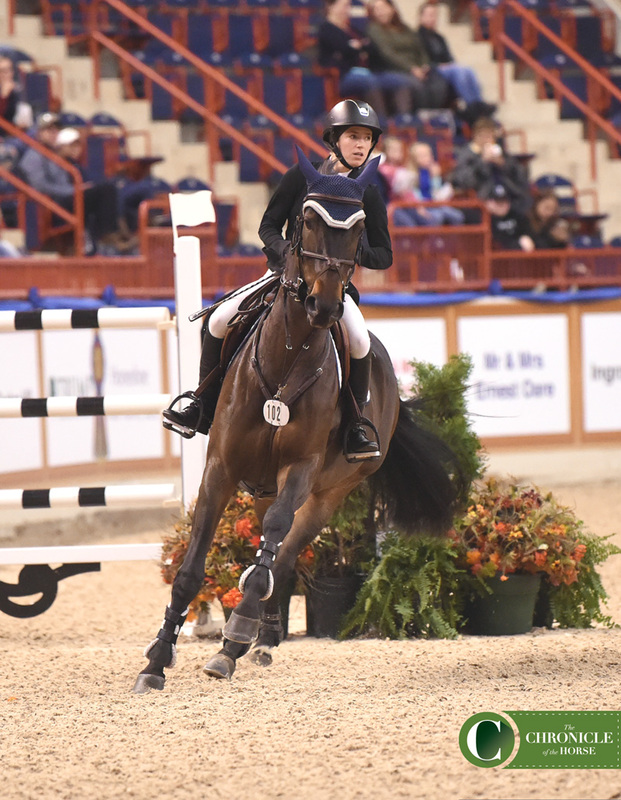 As a junior Cruciotti had racked up an impressive resume like winning the 2015 Pessoa/U.S. Hunt Seat Medal Final. Upon turning professional after her 18th birthday deadline, she decided to join her mother Cindy Cruciotti at Serenity Farm (Colorado) and take on the next challenge. 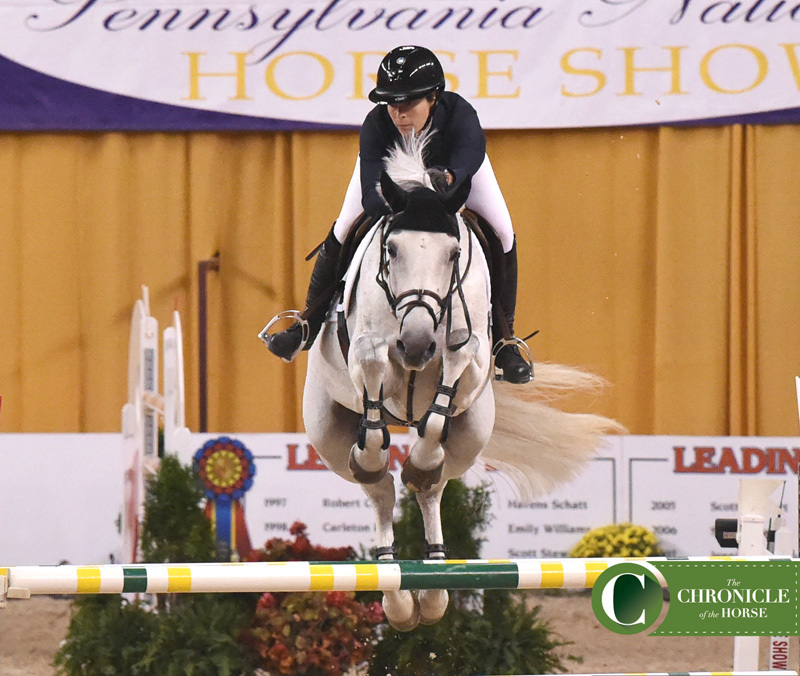 Kelli Cruciotti’s slow guidance with Hadja Van Orshof paid off as the pair took the top check in the $50,000 Pennsylvania Big Jump. Photo by Laura Lemon. 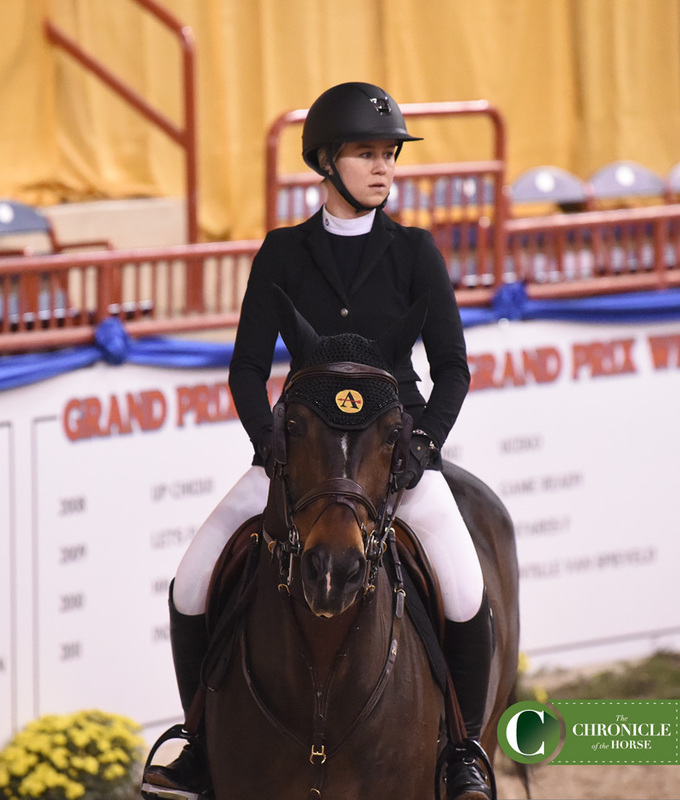 Work out it certainly did as no one could catch 21-year-old’s time, earning her the blue above a field of 34 packed with Olympians, World Cup riders and World Equestrian Games competitors. But to make the moment even more rewarding, the win came aboard a mare that wasn’t always a given herself. 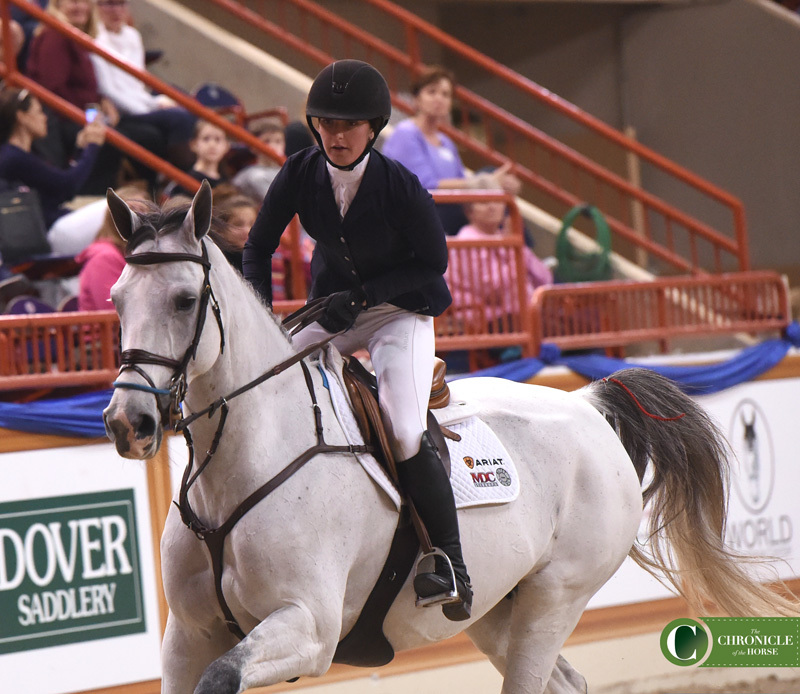 Kelli purchased the gray Belgian Warmblood (Cabrio Van De Heffinck—Victory Van Orshof, Darco) right after turning professional. And the mare’s sensitivity led for a “slow and steady wins the race” mentality. 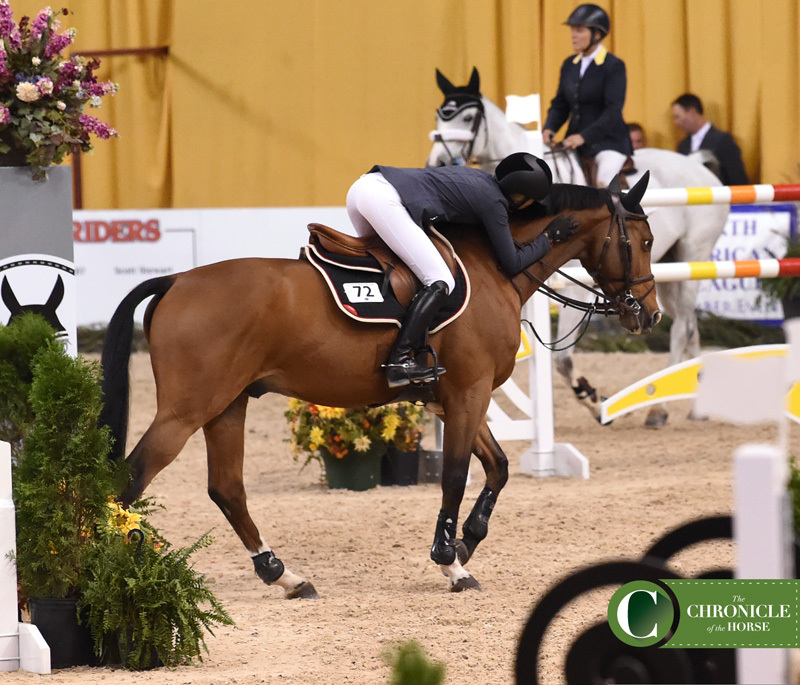 Kelli Cruciotti purchased Hadja Van Orshof right after she turned professional and has been steadily working with her since. Photo by Laura Lemon. With Kelli’s encouragement, Hadja Van Orshof started learning to enjoy the spotlight—soon connecting the dots between the big classes and the big treats afterwards. The Big Jump win not only represented the progress; it also gave Kelli a taste of the future. Beezie Madden took second aboard Chic Hin D Hyrencourt. Photo by Laura Lemon. Katherine Strauss and All In took third. Photo by Laura Lemon. 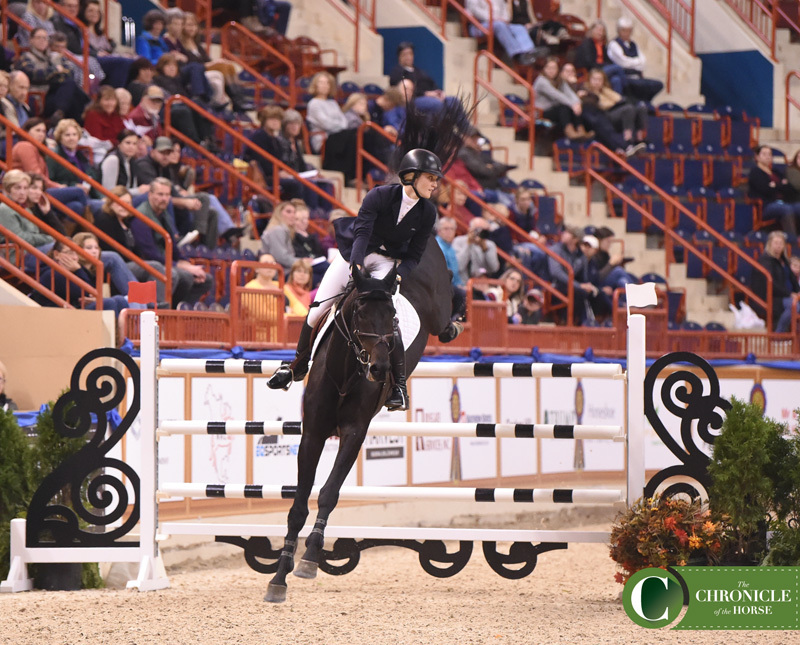 Abigail McArdle took fourth with Victorio 5. Photo by Laura Lemon. 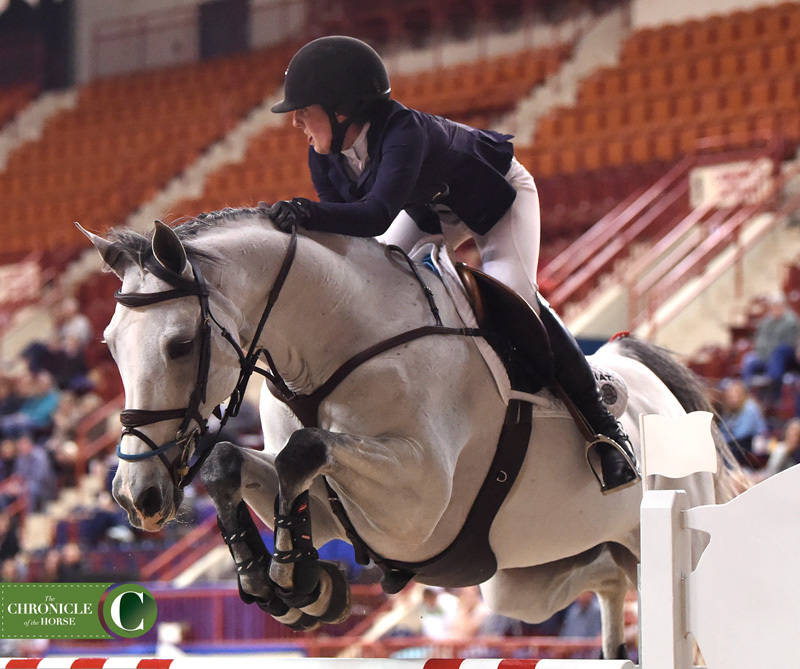 Nicole Walker earned the pink ribbon with Falco Van Spieveld. Photo by Laura Lemon. Ali Ramsay earned sixth with Hermelien VD Hooghoeve. Photo by Laura Lemon. Susan Horn rounded out the seven woman jump-off with Lilly Fee. Photo by Laura Lemon.